Dubbed MOSQUITO, the new technique, discovered by a team of researchers at Israel's Ben Gurion University, works by reversing connected speakers (passive speakers, headphones, or earphones) into microphones by exploiting a specific audio chip feature. Moreover, when it comes to a secret communication, it's obvious that two computers can't exchange data via audible sounds using speakers and headphones. So, inaudible ultrasonic waves offer the best acoustic covert channel for speaker-to-speaker communication. Ben Gurion's Cybersecurity Research Center, directed by 38-year-old Mordechai Guri, used ultrasonic transmissions to make two air-gapped computers talk to each other despite the high degree of isolation. The attack scenarios demonstrated by researchers in the proof-of-concept videos involve two air-gap computers in the same room, which are somehow (using removable media) infected with malware but can not exchange data between them to accomplish attacker's mission. 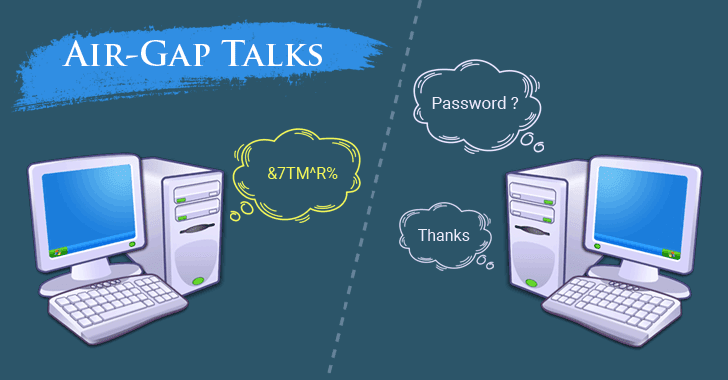 "Our results show that the speaker-to-speaker communication can be used to covertly transmit data between two air-gapped computers positioned a maximum of nine meters away from one another," the researchers say. 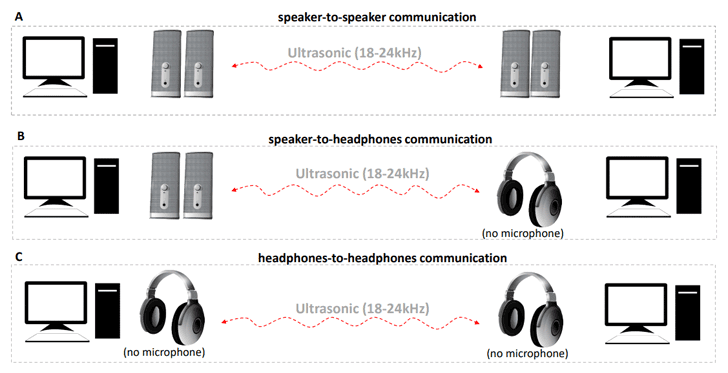 "Moreover, we show that two (microphone-less) headphones can exchange data from a distance of three meters apart." AirHopper turns a computer's video card into an FM transmitter to capture keystrokes.